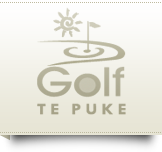 The first port of call for visitors and members of Golf Te Puke is the Te Puke Golf Shop. Our Head Professional Jared Pender will help you with any of your golfing needs. The Te Puke Golf Shop offers golf equipment such as electric golf carts, club and trundler hire, as well as a wide selection of Club Apparel. Here you can book a golf lesson with a pro to improve your game or bring your gear in for repair. The Te Puke golf club shop offers a full repair service for clubs and trundlers, including re-gripping, re-shafting and re-spiking. Additionally, all green fees and competition fees are collected by the friendly Pro Shop staff and this is where the computerised card printing screen can be found.